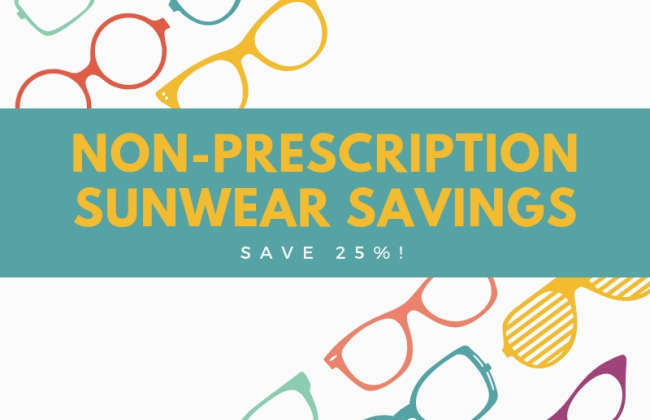 Purchase a 1 year supply of contact lenses OR receive Laser Vision Correction and receive 25% off non-prescription sunglasses of your choice. *Only valid 6 months from purchase of contacts or date of vision correction procedure. *Laser Vision Correction procedure must be completed based on a referral from our office and patient must also receive follow-up care from an optometrist at our office.